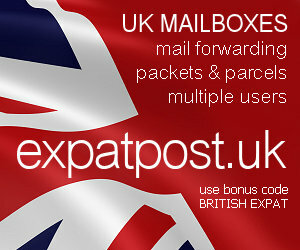 British Expat Forum • View topic - My Partner is Canadian, how do I come live with him? My Partner is Canadian, how do I come live with him? Here's the place to discuss all the red tape, rules, and regulations - the hoops you have to jump through before getting to Canada. I apologise in advance if this appears a stupid question but all the paperwork is confusing the heck out of me. I'm a University Professor in the UK who is in a relationship with a Canadian living in Toronto. We started a relationship after meeting in Ireland in December 2014 on a family visit, and have been together ever since. I've visited Canada 3 times (for 3 weeks, 5 weeks and 3 weeks respectively). I have three children, the last of whom is going to University in September 2016 so I could not move over to Canada before then. I have now taken redundancy from my UK job, plan to sell my house a.s.a.p. and move to Toronto. Here's the question - do I get a 6 month temporary visitor's visa, then when I'm here apply for some kind of a work permit? Or do I come here and then live together with him for a year then apply for what appears to be a very strict cohabiting visa? Finally, in the meantime, I want to work but don't seem to qualify for an Open Work Visa or a Skilled Workers' Visa (even though I have a PhD and have done the language test and got a consistent level 10). I'm completely confused about this - I want to come here to be with my partner (he's 71 by the way so there is no time to be lost!) and I want to work while pursuing whatever way is best to be here permanently. I would be SO grateful for any advice, thank you very much, Gill. Re: My Partner is Canadian, how do I come live with him? Hi and welcome to the forum. I think this belongs on our Canada forum not the Malta one, so I'm shifting it for you.